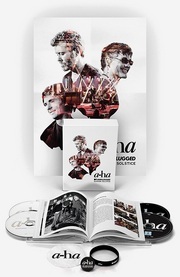 a-ha recently announced they will be playing two acoustic concerts at Øygardshallen on the island of Giske, Norway on 22 and 23 June, which will result in a live album and DVD to be released later this year. Even though the ticket price was 4000 kr (£361) for one concert, or 6000 kr (£541) for both concerts, all 500 tickets were sold out within 30 minutes when the sale started yesterday. The vast majority of tickets were sold to fans outside of Norway. “In total there were around 250 tickets available for each concert. Additionally the band has reserved a number of tickets for friends and family”, Terje Erstad at Ocean Sound Recordings told Sunnmørsposten on Monday. “I totally understand that 4000 may seem a lot for one ticket, but there is a very high cost per person when you’re doing a big production like this for such a small group of people”, a-ha manager Harald Wiik explained to NRK. 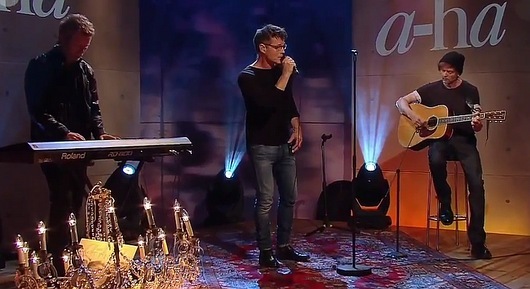 a-ha will be joined by the following musicians for the Giske concerts: Karl Oluf Wennerberg, Even Ormestad, Morten Qvenild, Lars Horntveth, Tove Margrete Erikstad, Madeleine Ossum and Emilie Heldal Lidsheim. Originally the plan was to do four concerts between 26 June – 30 June, but as Jaga Jazzist will be embarking on a US tour on 25 June, that wouldn’t work. Both Even Ormestad and Lars Horntveth are members of Jaga Jazzist.